As has been mentioned before here, I’m a big fan of avocados. They’re good for you, and taste yummy. That being said, I don’t usually eat avocados for breakfast. But smoothie Sunday seemed like a good chance to change that. I added mango as a second flavor, since avocado and mango are paired in things like salsas and burritos. The tang/acid of the mango helps cut through the creaminess of the avocado. 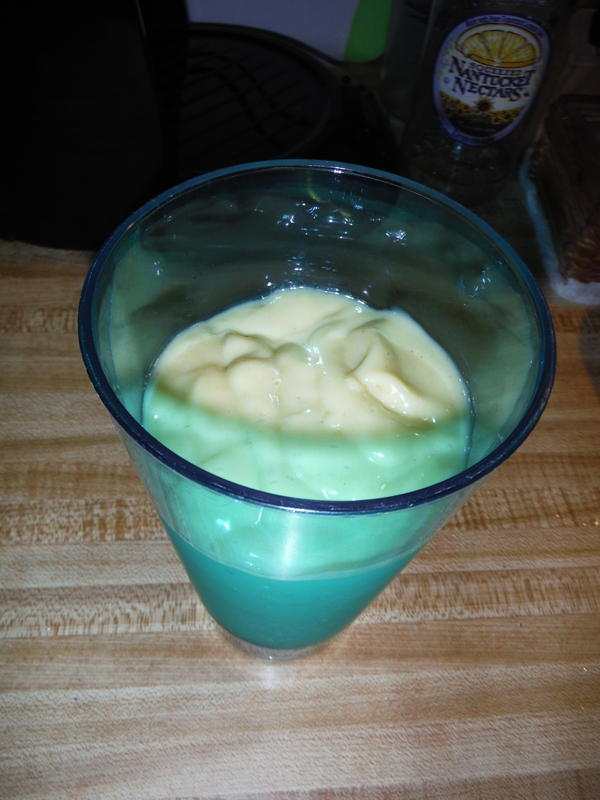 Since it’s so creamy I used the avocado like how I use the yogurt in most of my smoothies. Blend the first 3 ingredients in a blender until smooth. Add the rest of the ingredients and blend well, tasting and adjusting salt and honey as needed. Start with ¼ cup of orange juice, but this smoothie is pretty thick, so add more as necessary until it reaches desired texture. Once everything is to your liking, pour into a tall glass and enjoy! Don’t be intimidated by the green! 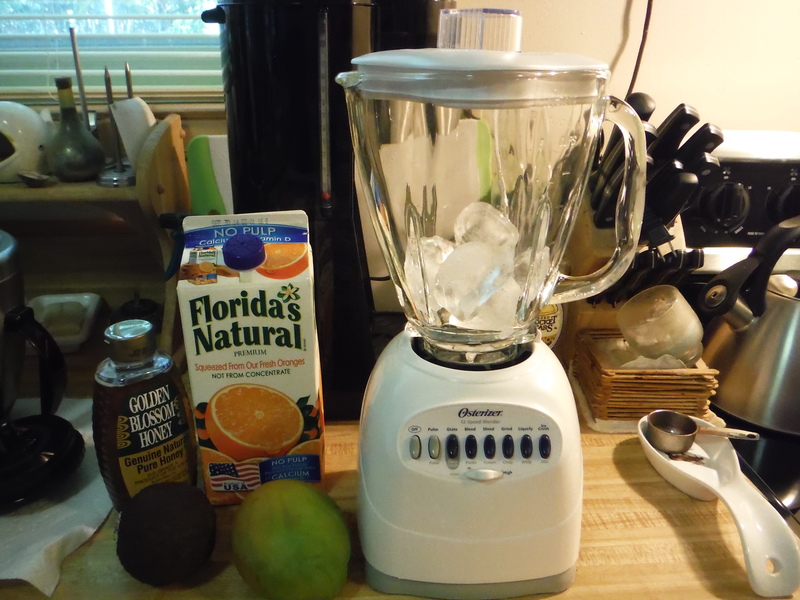 Posted on September 14, 2014, in Etcetera and tagged avocado, breakfast, easy, gluten-free, healthy, It's a winning combination, mango, recipes, smoothie, Smoothie Sunday, yummy. Bookmark the permalink. 6 Comments. That looks really yummy, I can’t wait to try it. I’m going to pick up an avocado and mango from the grocery store on my way home from work tomorrow. I like to make smoothies on days when I’m too lazy to cook.